The TSB Group prints in an environmentally sustainable and economically viable way. We can prove this – “signed and sealed”. All of our German printing sites have an EMAS certificate, meaning that they comply with the highest of European standards in terms of the environment and environmental management. The Eco-Management und Audit Scheme “EMAS” by the European Union is based on the Regulation (EG) 1221-2009 and has been implemented in Germany by the Environmental Audit Law (“Umweltauditgesetz”). By introducing the environmental management system, our printing sites voluntarily committed to constantly improving their protection of the environment in business, to adhere to all environmental regulations and to report on their activities in this area on a regular basis through an environment statement. The mission of the Forest Stewardship Council ® (FSC) is the promotion of sustainable management of forests around the world. The independent, non-profit non-governmental organization (NGO) founded in 1993. Members are among others the WWF and Greenpeace. FSC-certified / s wood or wood products come from legal, environmentally and socially sustainable forestry. 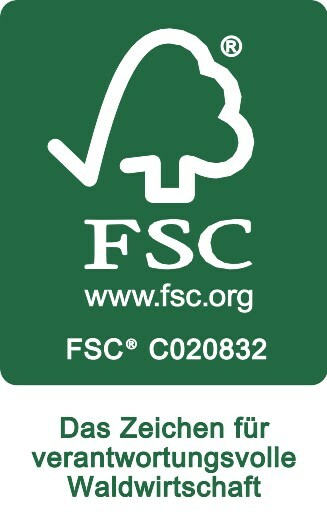 All of our printing locations are FSC-certified. These certificates for our sites mean that we are ensuring for your benefit that only certified paper is used to fit the contract specifications. Especially in the area of retail, paper is increasingly being used which is mainly or 100 per cent recycled. 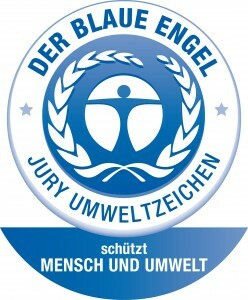 If so desired, we can provide for your product to be certified with the “Blue Angel” seal. This is the first and the oldest environmental label in the world for both products and services. It was established in 1978 on the initiative of the German Federal Ministry of the Interior and based on a decision by the federal and regional ministers of the environment. 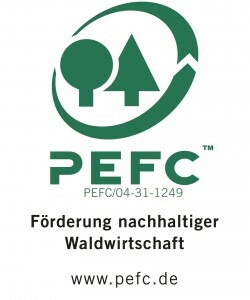 Furthermore, all of our printing sites have PEFC certificates. The Programme for the Endorsement of Forest Certification (PEFC) is an international non-profit, non-governmental organization dedicated to promoting Sustainable Forest Management (SFM) through independent third-party certification. It is a quality standard of the wood processing and paper industry. PEFC-certified / s wood and wood products also come from ecologically, economically and socially sustainable forestry. It is paper that comes from legal sources. These are quality standards in wood and paper processing. They offer proof that paper was procured from legal and sustainable sources. These certificates for our sites mean that we are ensuring for your benefit that only certified paper is used to fit the contract specifications.